For 45 years, Northlands has been proud to be the window to the west. 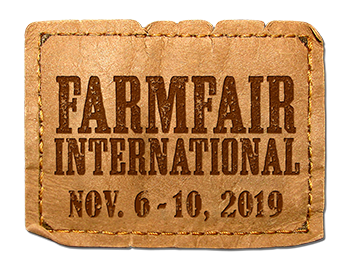 If you follow the sounds of hoof-beats leading from the farm into Edmonton, Alberta, you will wind up at Farmfair International – one of Canada’s largest fall agriculture showcases. With eight halls filled with western entertainment including, top producing sales, showcases & clinicians and the Heritage Ranch Rodeo, Farmfair International is your destination for all things equine. Some of the highest quality equine livestock come to Farmfair International each year to be shown and sold. Since 2005, the Ranch Horse Sale at Farmfair International has been among the highest averaging horse sale in Western Canada with sale prices reaching as high as $20,000. Farmfair International is home to two of the highest paying futurities for Team Roping and Barrel Racing horses in Western Canada in the Canadian National Team Roping Futurity and the Northlands Barrel Racing Futurity. Returning to the line up by popular demand, the Northlands Barrel Racing Futurity is open to any horse foaled in 2012/2013 and later (4 and 5 year olds). Bloodstock is a premier horse sale that brings together some of the top bloodlines in the industry and is a high calibre auction and a prime marketing opportunity for horse breeders. Team Roping Futurity, Canada’s top rope horse title for horses five years and under, is a guaranteed five head judged event that showcases the best young rope horses competing for part of the top prize. Watch live streaming of this event! Come on down and get up close and personal with our variety of equine ambassadors, their handlers, and learn more about the different breeds. Become part of a select opportunity featuring top working horses for today’s ranching community in our Ranch Horse Sale. Open to ages nine to 14, Rodeo Future Champions spotlight the best emerging cowboys and cowgirls in the province.